It is fair to say that Ubisoft have always had a reasonably good relationship with Nintendo. Starlink: Battle For Atlas is coming next month and the Switch version having the exclusive inclusion of the Starfox gang. Last year saw the release of Mario + Rabbids: Kingdom Battle and the number of titles that Ubisoft have brought to Nintendo consoles over the years. 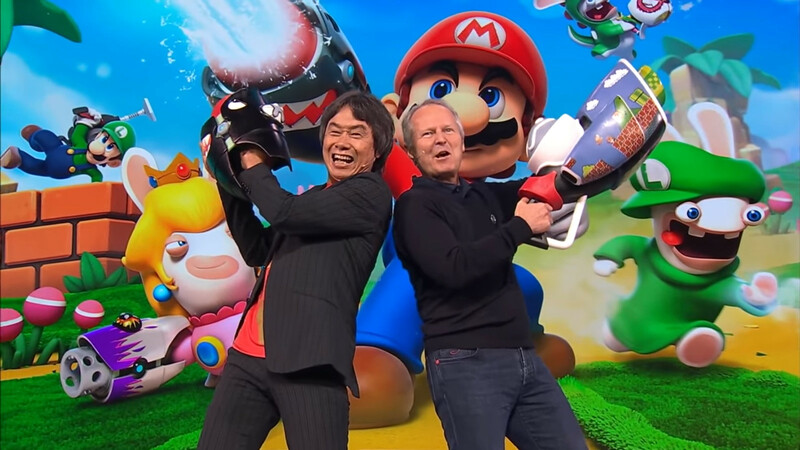 In an interview with Gamespot, Ubisoft’s CEO Yves Guillemot opened up about the company’s relationship with Nintendo. He spoke about how Fox McCloud and the Starfox crew made it into Starlink. The good relationship with Nintendo but he was most coy on regards to working on a sequel for Mario + Rabbids: Kingdom Battle or with Nintendo’s other IP’s in the future. The next thing I wanted to talk about is your relationship with Nintendo, which is fascinating to me because Nintendo seems to be so comfortable with giving you their characters, and you’re one of the few companies Nintendo seem to have taken a shine to. How have you managed to do that, and what does it mean to you? It’s a long-term relationship, so we’ve been working with them on all the machines they launched, and so from the beginning of the Wii to the Wii U, Switch, we were always there with them, and so we have been working closely while it was going out, when it was more difficult, so we are real partners that are happy to work together, and that helps a lot. It’s never … it’s always … you know, when you work with the brands of another publisher, it’s never easy, because you really have to understand the spirit of it, you have to really bring something that can help that to continue to grow. So it’s not easy, but as we know each other well, they are confident that we can really bring high quality experiences, so that helps. Can we expect to see that relationship continue in the same way that it has resulted in stuff like Mario + Rabbids, where it’s not just a character cameoing but full experiences built around Nintendo and its properties? Basically I’m asking can we get Mario + Rabbids 2? [Laughs] I can’t give you an answer yet. If you would like to read the full interview by GameSpot, you can check out the article here. Yves also talks about the success of preventing the Vivendi hostile takeover and also about the Assassin’s Creed series and other Ubisoft IP’s.